Manhattan Musical Theatre Lab‘s Co-Producing Artistic Directors Frank Evans and Stephen Hanks are proud to announce that the final production of the 2013-14 season from the not-for-profit musical theater development is CURIOUS & RARE, written by Broadway, film, and TV actress and playwright Tracy Sallows (photo, left, who has also appeared in previous MMTL productions). Sallows, who has written the book, music and lyrics for CURIOUS & RARE, has appeared on Broadway in Romeo and Juliet, Angels In America, The Miser, Shimada, and You Never Can Tell. 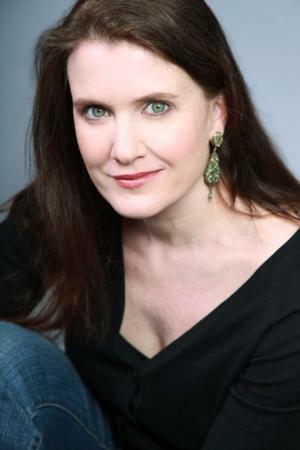 She also plays the recurring role of Kathryn Bader on HBO’s Boardwalk Empire and appears in lots of episodes of TVs Law and Order, as well as Regional Theatre and Indie Films. The presentation will be on Thursday, February 20 at 6:30 PM at The Snapple Theatre Center on Broadway and 50th Street. 3rd Floor, Jerry Orbach Theatre. Reservations at 212-989-6706 or MusicalMondays@aol.com. Regular Admission: $18. Students/Seniors $13. CURIOUS & RARE is a musical based on the life of Mary Anning (1799-1847). Before Charles Darwin and before the word “dinosaur” was coined, Anning made groundbreaking discoveries in the science of paleontology before the field even formally existed. This previously unsung heroine is considered one of the 10 most influential women in the history of science, yet many people have never heard of her. Now you will. Among the stellar cast for this presentation will be Stephanie Rothenberg as “Mary Anning” (On Broadway, Rothenberg played Rosemary in How to Succeed in Business Without Really Trying.) and Jeremiah James as “Henry De La Beche” (who was an English geologist and palaeontologist and the first director of the Geological Survey of Great Britain. He helped pioneer early geological survey methods and was a great supporter and friend of Anning.) Jeremiah is currently playing “El Gallo” in The Fantasticks at the Snapple and recently played “Billy Bigelow” in the London revival of Carousel. The cast also features: William Youmans (Broadway: Wicked), Doug Shapiro (recently seen in the MMTL production of The Curse of Batvia), Tracy Sallows, Joel Hurt Jones, Wally Dunn, Brian O’Neill, Sandie Rosa, Elizabeth Ann Berg, Stacie Bono, and Mairead O’Neill. Musical Direction is by Linda Dowdell. Manhattan Musical Theatre Lab, which was founded by the late Bick Goss in 1999, develops new works for the musical theater through a multi-step reading program. Works vary in style and are selected from professional recommendations as well as formal and informal associations with organizations like the National Alliance of Musical Theaters and The BMI-Lehman Engel Musical Theater Workshop.